Circuit Rider Ministries develops, teaches & distributes materials to facilitate studies of the Bible. They also organize and conduct travel-teaching experiences and other events to provide unique learning opportunities. 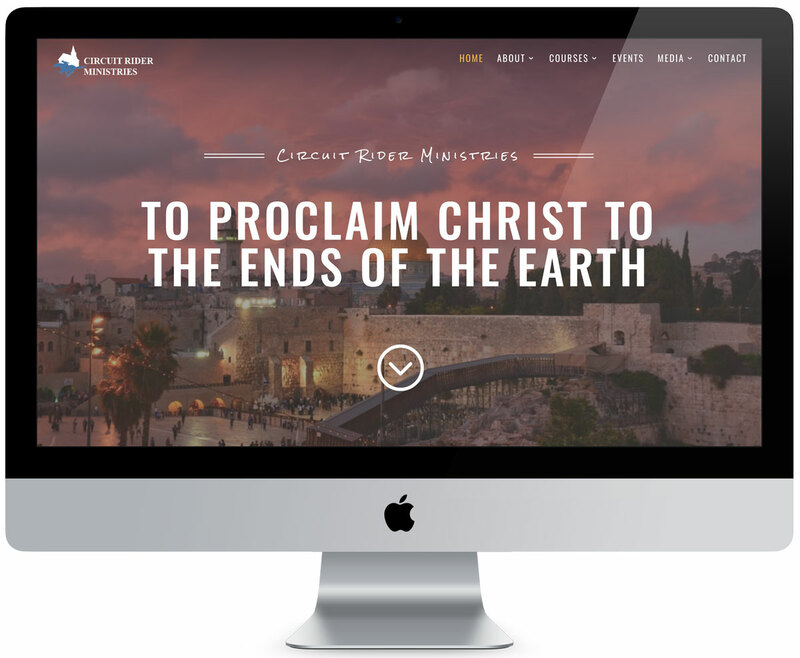 Circuit Rider selected LimeGlow Design to spearhead the re-design of their ministry’s website. LimeGlow Design made the process of creating our new website a wonderful experience. We love the design and functionality of the site, and appreciate the creative ideas that LimeGlow brought to the project. They also took the time to show us how to edit content on the website – making it easy for us to add new events, courses, and other content to the site as our ministry grows. We’re thrilled with the results, and look forward to partnering with LimeGlow with the next phase of expanding our site for our growing audience and ministry. 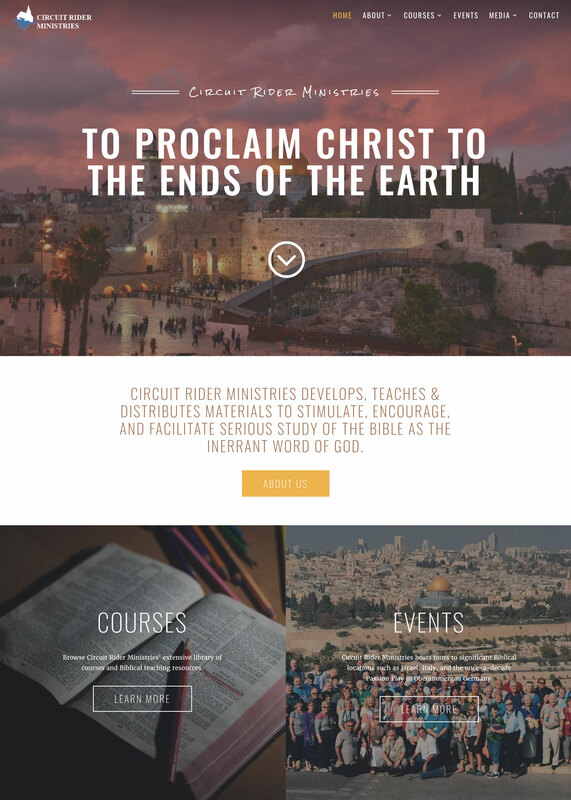 New WordPress website design for Circuit Rider Ministries. The Circuit Rider website showcases upcoming events and includes a filterable list of courses taught by the ministry. Intuitive content management tools allow ministry staff to easily add events, courses, and other content to the site. 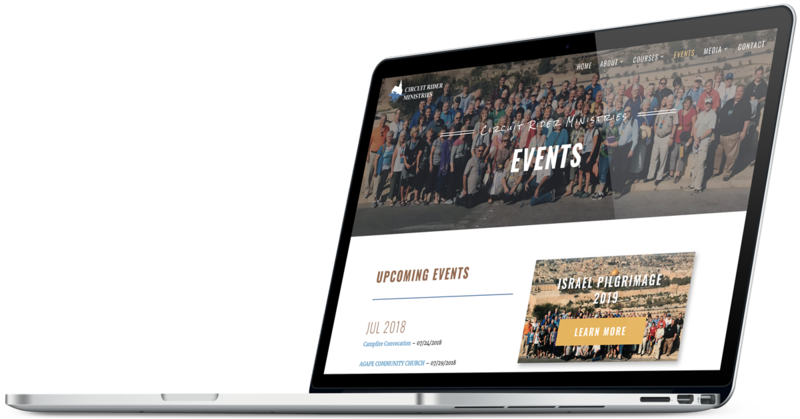 In addition to offering information about the ministry’s events and courses, the new website also presents media resources from the ministry – including videos from past events, teaching resources, and event photo galleries. To learn more about Circuit Rider Ministries, visit www.circuitriderministries.com.